Make personalized invitation card which would show your feelings while inviting guests in the wedding ceremony. We help you to make beautiful wedding invitation cards, according to your need. With wedding Card Design Software, you can create printable invitation cards in different colors, shapes and sizes. Wedding Card Design Software is developed with inbuilt invitation templates to create your own unique invitations. Wedding card making program provides different card designing objects such as pencil, line, text, ellipse, rectangle and other designing objects to create designer wedding cards. Software enables users to print designed wedding invitation card by using inbuilt flexible print settings. You can send designed invitation card at user specified email address by using inbuilt email settings. Provides facility to add barcode, watermark, images etc on wedding cards. Design wedding cards using image designing tools including Line, Rectangle, Text, Picture, Arc, Triangle, Star objects etc. 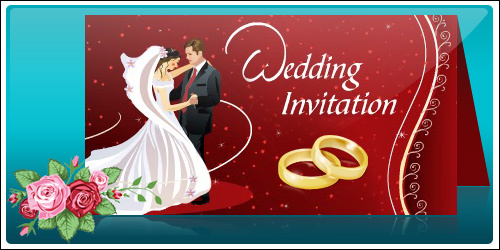 Wedding Card Maker Program easily creates invitation cards in bulk that can be sent at user specified email address to invite your friends and relatives on this special day. Software designs invitation cards in rectangle, ellipse and rounded rectangle shape as per your requirement. Wedding Card Maker program empowers you to design multiple numbers wedding invitation cards in minimal time and efforts. Program provides ClipArts, Text, Wordart, Signature and other designing tools to make wedding card. 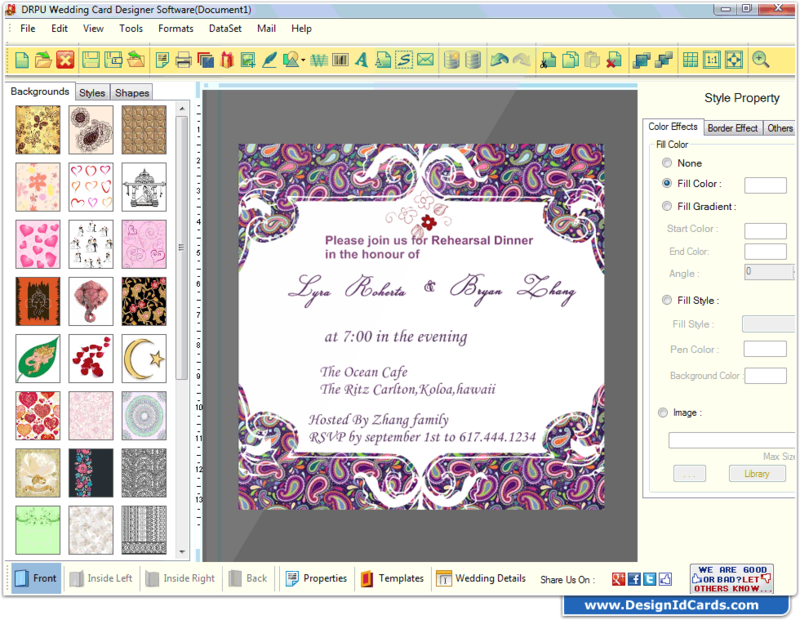 Wedding Card Creator Tool allows you to insert images on wedding invitation card from image library.